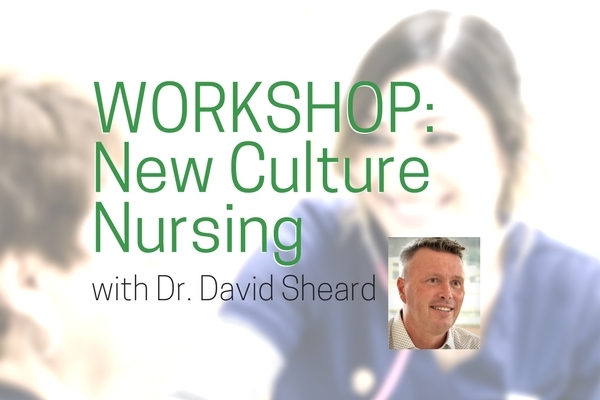 UPDATE (Jan. 3/18): Due to unforeseen circumstances, the New Culture Nursing Workshop with Dr. David Sheard has been rescheduled to April 11 in Edmonton and April 13 in Calgary. Registrants, check your email for registration changes and refund info. The College of Licensed Practical Nurses of Alberta is pleased to partner with Dr. David Sheard, Founder/CEO Dementia Care Matters, to offer a workshop focusing on person-centred care coming to Edmonton (April 11 Jan. 10) and Calgary (April 13 Jan. 12). In his thought provoking and passionate presentation style, Dr. Sheard calls on LPNs to be the leaders of a new culture of care where people, not just policies and procedures, really matter. This workshop can be the starting point for LPNs who want to improve organizational culture so that person-centred care is priority. Limited seating. $50 registration fee (incl. GST), includes continental breakfast, lunch, coffee breaks, parking and workshop material. This workshop meets annual Continuing Competency Program requirements. Or register by phone by calling Colleen, Professional Development Assistant, at 780-638-6714. $50 payment is due upon registration. Eligible LPNs (those with an Active Practice Permit and living in Alberta) may qualify for fee reimbursement through the Education Grant Program. Your registration confirmation will be sent by email. Notice of cancellation must be made in writing to cturkington@clpna.com on or before April 4, 2018. After April 4, 2018, no refunds will be given. The College of Licensed Practical Nurses of Alberta hosts these events as part of the Strategic Plan to empower Licensed Practical Nurses for the future. Questions? Contact Colleen, Professional Development Assistant, at cturkington@clpna.com, 780-638-6714 or 1-800-661-5877 (toll free in Alberta).